Finding quality abrasive belts for your business in Kansas City, Wichita, Dallas, Fort Worth, or another nearby city is as easy as turning to the industrial supply experts at Wm. F. Hurst Co., LLC. Businesses throughout the Midwest have continually turned to us since our founding in 1962, and we remain the industrial supply distributor of choice in the area because of our vast selection of high-end products, wealth of industry experience, and commitment to providing outstanding service to our customers. Our selection of industrial abrasives also includes sanding discs, grinding wheels, and flap wheels. Additionally, we offer a wide variety of other industrial supplies, including power tools, hand tools, semisynthetic and soluble oil metalworking fluids, and safety equipment. 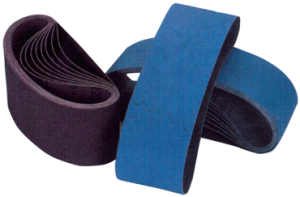 To receive more information on our selection of abrasive belts or any of the other products in our inventory, contact us today. Wm. F. Hurst proudly distributes high-quality industrial supplies to businesses in cities throughout the Midwest, including Kansas City, Wichita, Dallas, Fort Worth, Columbia, Joplin, Sedalia, and Springfield.